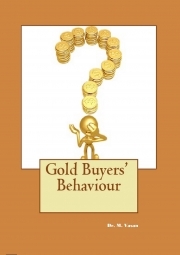 Description of "Gold Buyers’ Behaviour"
The book on gold buyers’ behaviour is written to analyse the behavioural pattern of gold buyers that includes a thorough analysis of reasons for purchasing gold, parameter for selecting a particular jeweller and factors influencing gold purchase behaviour of buyers. The outcome of this study will useful to comprehend the criteria adopted by buyers in selecting a particular jeweller, in adopting a suitable pricing strategy, and in devising an appropriate marketing strategy, so as to nurse their customers in a better way. This book is really an eye-opener for research scholars and students of commerce and other related disciplines. This book serves not only for students of commerce related courses but also academicians, professionals, job aspirants and business leaders. Dr. M. Vasan, M. Com., M.B.A., M.Phil.., Ph. D. is Head, in the PG and Research Department of Commerce, K.S. Rangasamy College of Arts & Science (Autonomous), Tiruchengode. He specializes in the areas of Accounting, Marketing and Human Resource Management. He has actively participated and presented research papers in 38 international/national seminars and participated in 10 workshops. He has published 26 research papers in journals of international and national repute. He has penned 4 books in the area of commerce and management. He is guiding M. Phil., and Ph.D Scholars of Periyar University, Salem. He is a life member of the Indian Accounting Association and Indian Commerce Association. Reviews of "Gold Buyers’ Behaviour"